In 2015, lovers of bacon got some bad news. The International Agency for Research on Cancer, part of the World Health Organization (WHO), published an analysis, which included over 800 studies, that found that eating processed or red meat can increase your risk of colorectal cancer. 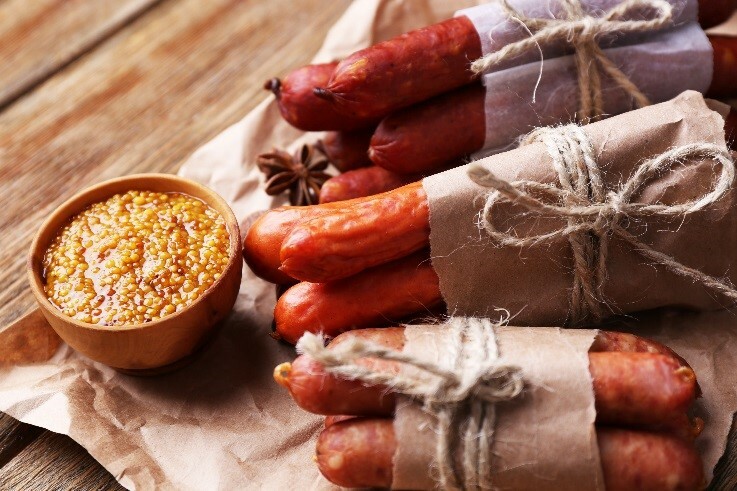 The analysis classified processed meat such as hot dogs, ham, sausages, beef jerky, and canned meat as a Group 1 carcinogen based on the strength of the evidence (the same as tobacco), while red meat such as beef, pork, veal, or lamb, was classified as a Group 2 carcinogen (“probably carcinogenic to humans” according to the WHO grading system). So what are the risks? Do bacon eaters need to throw in the towel and join their local vegan society? If you want to, yes! But it turns out the risks are not as severe as they may have seemed at first glance. Although the World Health Organization classified cured and processed meats as a group 1 carcinogen based on the strength of the evidence, the same as tobacco, there’s a stark difference in the level of associated risk between the two. For example, a person who smokes is 20 times more likely to develop cancer, especially of the lung, than someone who does not smoke. In comparison, a person who eats a serving (e.g. 3 slices of bacon, or 3 ounces) of processed meat per day is about 1.1 times as likely to develop colon cancer as someone who doesn’t eat processed meat at all. Still want to reduce your risk but not ready to join the vegan society? Not to worry, there are certainly many things you can do reduce your risk. The danger associated with processed meat and red meat primarily revolves around two challenges. Dietary recommendations for meat intake vary by country;find your country’s dietary guidelines here. 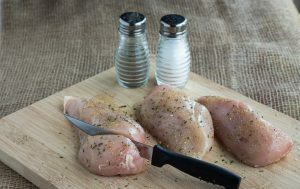 Firstly, when meats are cooked they produce chemicals such as polycyclic aromatic hydrocarbons or heterocyclic amines. Both of these compounds are known mutagens (agents that cause genetic mutation). We can reduce our exposure by changing how we cook meat. Cooking meat at low temperatures, flipping frequently, and avoiding char–grilling minimizes production of these compounds. Secondly, processed and red meats tend to be high in fat. Our digestive system normally produces bile to help absorb fat from food, but when a diet is high in fat, extra bile must be produced. This extra bile can sometimes make it to the colon where it doesn’t belong. Once there, the bacteria residing in our colon can use the bile for food. Although the bacteria are likely happy with this situation, it is not as beneficial for the person who ate the fatty food since the bacteria produce cancer-causing compounds, such as deoxycholic acid (DCA), during this process. We can minimize the formation of DCA by reducing the total fat in our diets. Nutrition can be used to reduce risk of many diseases. See some specialized recommendations for cardiovascular disease, diabetes, and obesity. Food technologies can also be used to make these foods tasty and healthy. To retain that char-grilled flavor we love, water soluble liquid smoke may have some advantages. The most dangerous carcinogens are oil soluble, so a water soluble liquid smoke can be used to reduce exposure and provide flavor. Those who want reduce fat in their diets may be interested in using technologies that can reduce the amount of fat that a food absorbs during frying, such as specialized breading systems. These technologies can reduce fat content of fried foods by up to 40% and may be a way for product developers to improve the healthfulness of fried foods. Although the World Health Organization established a link between red and processed meat and colon cancer, meats are still an essential part of a nutritious diet for the majority of the population. They contribute high quality protein and essential minerals and remain a part of dietary guidelines worldwide. When choosing a meat, consider choosing lean poultry or lower-fat meat red meat cuts, such as round or sirloin, rather than fatty read meat or processed meat. Keep the tips discussed in this blog in mind the next time you have an opportunity to enjoy, or develop, meat foods! Michael Q. Kemp, PhD, RD is a Nutrition Manager at Kerry. He works with Kerry business teams to identify nutrition opportunities for product renovation and innovation and provides technical assessments to development teams. Mike is an expert in anti-carcinogenic properties of dietary fats, sports nutrition, and dietary supplements.